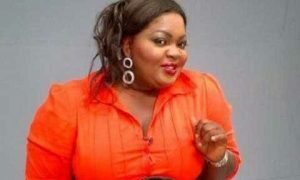 The actress’ hospitalization comes months after she slammed social media users over her weight and size issue which she claims she has been working hard on although it has not been an easy task. The actress who recently held a lavish burial ceremony for her father with several of her colleagues present was reported to have landed in the hospital on account of diarrhea. The 39-year-old actress took to her social media page to share a photo of her prescribed anti-diarrhea drug, Imodium.